It’s against Arizona law to recklessly damage another’s property. The crime classification depends on the property-type and lost property-value. Damaging property used for worship or religion. Damaging a school building or educational facility. Damaging property at a cemetery or mortuary. Damaging or tampering with a construction, utility, or agriculture site with the purpose of taking metals. 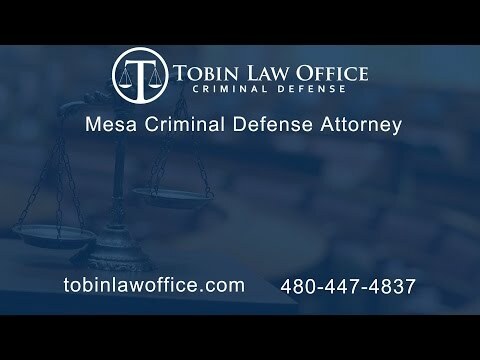 Arizona’s criminal damage laws provide for a range of crime classifications and corresponding penalties. These depend on the property-value and property-type. When calculating property-value, the State considers the repair or replacement costs. Class 1 Misdemeanor: Up to 6 months jail, 3 years probation, and $4,575 in fines and surcharges. Restitution is normally ordered, unless already paid for by insurance. Class 2 Misdemeanor: Up to 4 months jail, 2 years probation, and $1372.50 in fines and surcharges. Restitution is normally ordered, unless already paid for by insurance. If you have no prior felony convictions, felony criminal damage is probation eligible, meaning the court can order probation or prison. When you have little criminal history, probation is usually granted; however, in ordering probation, the Court can still sentence up to one year in the county jail. Restitution for property damage is normally ordered, unless already paid for by insurance or Defendant. Class 3 Felony: If it’s your first felony offense: anywhere from probation to 8.75 years prison. If you have 1 prior felony, you may face up to 16.25 years prison. If you have two prior felonies, you may face up to 25 years prison. Additionally, you can be sentenced up to a $150,000 fine, plus surcharges. Class 4 Felony: If it’s your first felony offense: anywhere from probation to 3.75 years prison. If you have 1 prior felony, you may face up to 7.5 years prison. If you have two prior felonies, you may face up to 15 years prison. Additionally, you can be sentenced up to a $150,000 fine, plus surcharges. Class 5 Felony: If it’s your first felony offense, you face anywhere from probation to 2.5 years prison. If you have 1 prior felony, you may face up to 3.75 years prison. If you have two prior felonies, you may face up to 7.5 years prison. Additionally, you can be sentenced up to a $150,000 fine plus surcharges. Class 6 felony: If it’s your first felony offense, you face anywhere from probation to 2 years prison. If you have 1 prior felony, you may face up to 2.75 years prison. If you have two prior felony convictions, you may face up to 5.75 years prison. Additionally, you can be sentenced up to a $150,000 fine, plus surcharges. Q: How is the value of property calculated? A: Damages include the total aggregate cost of repair or replacement. In other words, how much it would costs to return the property to its previous condition. If repair isn’t possible, it’s calculated by the replacement cost. A: Anything, other than a structure, which has value, tangible or intangible, public or private, real or personal, including documents evidencing value or ownership. A: Any physical or visual impairment of any surface. Q: What is a structure? A: Any building, object, vehicle, watercraft, aircraft or place with sides and a floor, used for lodging, business, transportation, recreation or storage. Q: What if I only damaged my own property? A: You shouldn’t be charged with criminal damage if you held exclusive ownership and title. 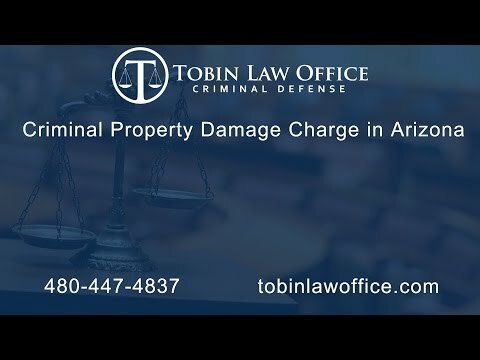 Nevertheless, in cases involving spouses or community property, damage to any property can be deemed property of another person for criminal prosecution. For example, if you’re married, and intentionally break your own cell phone, you may be charged with criminal damage because it’s community or marital property. Lack of criminal act: Charges can be fabricated or exaggerated. There’s a variety of motives at play-especially in domestic settings. Additionally, any alcohol or drug abuse can also play a part in false accusations. There are many reasons someone might call the police to fabricate or exaggerate a property damage claim. Lack of Criminal Intent: In a criminal damage prosecution, a Defendant must have intentionally or recklessly cause the damage. At a minimum, the Defendant must have caused damage while acting in a way that was a gross deviation from how a reasonable person would have acted in the same situation. The statute doesn’t criminalize accidental or negligent acts. Damage Value: The State will try to prosecute Defendants under the most severe criminal damage allegation; nevertheless, the State must prove, beyond a reasonable doubt, the amount of damages; and further, must demonstrate the method it used to calculate that amount. A Defendant can present evidence of what he believes is a more reasonable damages calculation, and the jury can determine and calculate the actual amount of amount of damages. This is a valuable defense because it can reduce the severity of the charge, which reduces the applicable penalties. Permission: The State must prove that a Defendant didn’t have permission to damage the property. While this can often be inferred from damage caused in acts of anger or violence, the State must establish that the victim didn’t give permission. The absence of a property owner’s permission is a necessary and implicit element of the crime. State v. Moran (App. Div.1 1989). For example, if a property owner asks her friend to break open her piggy bank to get the coins out, there’s no criminal damage. A victim must testify that the Defendant didn’t have permission. Constitutional Violations: Right to counsel, Miranda, unlawful search and seizure, lack of probable cause, and lack of reasonable suspicion are all viable issues that can be raised when warranted. Recanting Victim: This isn’t technically a defense; nevertheless, a victim who’s not cooperative with the State, or wants the charges dropped, creates an obstacle in the prosecutor’s case. The prosecutor can still try to force the victim to appear by serving a subpoena. If a victim fails to show to court, despite being served, the victim can technically be charged with contempt or failure to appear. Contact us for a Free and Confidential Consultation!